Kinda late to the party, but WOHOO! Differin has officially been approved for over the counter use in #Amurica. “It’s about time the peasants get a new acne medication,” says the FDA. To celebrate this wondrous occasion I thought I’d do a differin review…. or more like OVERVIEW since we will literally be going over everything you need to know. Let’s get started! 1 What is Differin? How Does it Work? 3 Differin vs Retin-A: Which is Better? A Comparison of Benefits. 4 How Long Does Differin Take to Work? Differin Side Effects. 5 Differin Side Effects. How to Reduce its Irritation. 6 How to Use Differin? 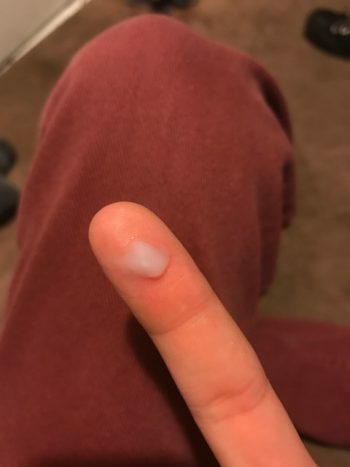 7 My Experience with Differin. What is Differin? How Does it Work? Differin Gel (adapalene 0.1%) is the first and only retinoid available OTC for the treatment of acne. (1) A retinoid is simply a derivative of vitamin A. The two most popular being tretinoin, an anti-aging all star known widely by it’s brand name Retin-A, and Accutane (isotretinoin) — an oral prescription drug for severe cases of acne. Retinoids like Differin work by regulating epithelial cell growth. In other words, they target the beginning of the cell cycle (not the end). This is why it’s crucial you stick with them! They work on the deeper layers of skin by “reorganizing” the way the cells grow, which eventually leads to healthier, brighter skin that’s less prone to clogging. Your chemical exfoliants on other hand (e.g. glycolic and salicylic acid), work at the end of the cell cycle. Something that makes them more likely to damage skin by excessively thinning the stratum corneum (i.e. over-exfoliation). 1st generation = retinol, retinal, tretinoin (Retin-A), isotretinoin (Accutane), and alitretinoin. 2nd generation = etretinate, acitretin. 3rd generation = adapalene (Differin), bexarotene, and tazarotene. The demand for newer generations of retinoids was motivated by scientists trying to find less irritating alternatives to some of the earlier versions. It’s no secret that using stuff like tretinoin is irritating as hell. This makes people less likely to stick with it, which is crucial for getting its full benefits. And that’s where adapalene comes in (a.k.a differin’s active ingredient)! It’s supposed to be a less irritating alternative to harsher retinoids, without compromising effectiveness. This has many people wondering…. Differin vs Retin-A: Which is Better? A Comparison of Benefits. It depends on what you’re after. If we’re talking straight anti-aging then Retin-A is probably better. I only say “probably” because there isn’t much research on differin for wrinkles and all that jazz. Tretinoin is notorious for being an unstable little sissy that degrades in light. This is less a problem with differiin. It should still be used at night though! How Long Does Differin Take to Work? Differin Side Effects. Like reddit user rainingramen said, “[Differin] bestows its rewards only to those who are patient and committed to Lord Retinoid.” Indeed, this stuff was meant for the long haul. If you’re an impulsive Isabelle or serial monogamist — just stop reading this and leave now. Differin is like that guy or gal looking for commitment, so none of this tinder business! Studies have shown that differin reduces acne by about 60% across all participates after 3 months of daily use. (4) Here’s a visual of what that looks like with a sample size of 582 patients. Source: Millikan LE. “Pivotal clinical trials of adapalene in the treatment of acne.” Journal of the European Academy of Dermatology and Venereology.” 2001;15 Suppl 3:19-22. From the graph above you’ll notice there’s a significant reduction in acne (~30%) within a week! I definitely noticed this myself (more about that later), but unfortunately it ain’t all pretty sunshine and rainbows forever. Most people have a slight worsening of acne during the second week. This happens because that’s the peak period of irritation, known to many as the dreaded “purging phase” when clogged pores start surfacing and the skin gets easily inflamed. And that folks is why they say differin rewards those with patience! Stick with it and you’re practically guaranteed to have clear beautiful skin. Differin Side Effects. How to Reduce its Irritation. Despite adapalene being a gentler retinoid, it can still be pretty irritated. Like a mentioned above, the first few weeks on differin are the hardest because that’s the peak period of irritation. You will likely experience itchy, red, dry skin, and worsening of acne. But just remember to STICK WITH IT! Adapalene also increases your sensitivity to the sun by thinning the stratum corneum, so it’s really important that you follow up with a sunscreen! I like to use the EltaMD UV Clear SPF 46. It’s safe for acne-prone skin, rosacea, and won’t aggravate malassezia induced skin conditions like seborrheic dermatitis, pityrosporum folliculitis, and eczema. But more importantly it has 5% niacinamide, a vitamin and antioxidant that’s great for anti-aging, fading discoloration, fighting acne, and brightening skin. Studies have also shown that niacinamide reduces the irritation of retinoids, (7) so it’s a good companion to have should you decide to try differin. And while we’re on the subject of reducing irritation, should you notice it’s too much for you skin reduce the frequency to every other day until you build up more tolerance. Some people also like to apply differin after moisturizer as this provides a buffer and reduces irritation, and only slightly decreases it’s effectiveness (if at all). You can only use a pea-sized amount or less once a day! We’re talking this much OR LESS. I’ll be honest, it’s kinda hard. But I think that’s because I have a big head… What I found works best is carefully dabbing it in tiny tiny pieces all across the face, then spreading it evenly. It’s glides more easily if you apply moisturizer first. I did this a couple nights and it worked well. But I’m trying to get the whole shebang here, so I’m mostly applying it to dry skin and moisturizing afterward. Unlike tretinoin, you don’t have to wait 20-30 minutes after cleansing to make sure your skin is fully dry before applying. One split face study with 22 patients found that it made no difference whether adapalene was applied directly or 20-30 minutes after cleansing (8) — with the exception of one poor sucker whose face it did irritate, so for our purposes we’ll say waiting 20-30 minutes is unnecessary 95% of the time. If you want to be extra extra safe, go ahead and wait those 20-30 minutes. Alrighty. Now to talk about my 2 week long experience with this stuff. “Wait, what?? 2 weeks?!? !” I can hear you already. I want to give it a full shot at working its magic before ruling it out. And quite frankly, mixing it with other actives might decrease its overall effectiveness by increasing my skin’s sensitivity. For whatever it’s worth, here are the reasons I decided to drop all my other chemical exfoliants in favor of differin. 1. I still have minor atrophic scars on my cheek that I wish weren’t there. Given that adapalene helps acne scars in 0.3% concentration, I figure it might help. 2. It most likely has anti-aging benefits. 3. It has good tolerability in cases of adult acne. Yay because I’m 24 and have sensitive acne-prone skin! With that said, I will be updating y’all every couple weeks. We’ll officially conclude this review three months from now. Let’s get started. Week 2 = Sigh. Just like those studies said would happen, my face is getting irritated. It’s like scientific clockwork. I’m sad to report that I actually broke out too. :/ First time in what feels like several months. Won’t pretend I’m not disappointed about this, but i’m sticking with it because I know this is just temporary irritation (hopefully). And the itches! God my skin itches! SOMEONE HAAAAALP. Week 3 + 4 = the past two weeks have been meh. On the bright side the breakouts on my chin have subsided. The only problem is I’m now getting clogged pores on my forehead and closed comedones on my upper cheeks. It’s almost as if differin isn’t decongesting the surface of my skin fast enough compared to salicylic acid. I still feel very much parched and irritated, especially by the end of the day. I’m not freaking out about it though, I more or less expected to be here. NOTE: I also added CeraVe Healing Ointment at night during week 4. Ian, a reader of the blog, reminded me that this has ceramides, cholesterol, phytosphingosine, and hyaluronic acid in it, which are all natural parts of the skin that help restore its barrier function. You can essentially consider CeraVe Healing Ointment like a beefed up version of Aquaphor or Vaseline. It’s a fantastic occlusive that locks in the moisture in skin when used as the last step in your routine. Weeks 5 + 6 = Unfortunately, some of the closed comedones on my cheek became full blown inflammatory lesions. I was initially worried about this because I scar very easily there, but I found a study that showed Epiduo gel (0.1% Adapalene + 2.5% Benzoyl Peroxide) reduces the risk of atrophic scar formation, whereas BP alone does not. This has definitely been true for me, and I swear I’m noticing a marked improvement in the old indented scars I have, which is making me feel very optimistic about adapalene. Were it not for this fact, I probably would have stopped using it by now. Weeks 7 + 8 = All the breakouts I got the past 2 weeks finally subsided, but they left behind some PIE marks (red acne scars). I still have some congestion around my forehead and nose, but I’m 95% positive this was because my moisturizer, so I’ve gone full blown DIY and formulated a urea facial lotion without fatty alcohols and esters. It’s only been a couple days, but it is working astonishingly well! Week 9 + 10 = Not much to update here. Skin is clear, with the exception of the blackheads on my nose. These things are the bane of my existence! -__- The minor congestion on my forehead is finally going away. I don’t want to repeat myself but…. I SWEAR DIFFERIN IS ACTUALLY HELPING ME WITH MY ATROPHIC ACNE SCARS AND HOLY SH*T THAT MAKES ME SO F*CKING HAPPY! That is all for this week. 🙂 If everything keeps going as planned, I will finally introduce some BHA into my routine after week 12! Yippieeeee! 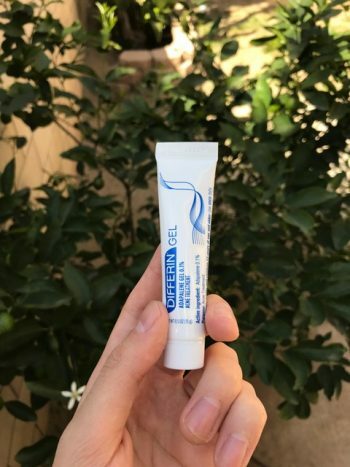 Hope you’ve enjoyed this Differin Gel (adapalene 0.1%) overview / review! Hi there, f. c.! I’ve been enjoing your blog for a long time, but silently entil now 🙂 I see you’ve updated 12th week, and seeing no exitment I’ve got to ask – could you, please, share more thoughts on overall experience of using adapalene? Will you continue to use it? Or will you stick to your usuall routine with BHA? I am myself going through 7th week and honestly it’s been meh…dyhidrated and dealing with breakouts. Hello my friend, you are doing a great job here..
Due to acne i do have a lot of red marks, pih, pie on my face and i also get breakouts on my chin area.. I cleared up because of differin which i am using now for 9month i quess. I want to include bha’s in my skincareroutine.. My Skin does feel really good when i touch it and besides a few pimples my Skin FEELS flawless besides some light scarring.. But there is a lot of redness and pih, pie as i said so i wanted to try the BHA. Everybody is saying not to use them both, because they do cause a lot of Irritation. What are your thoughts? I’ve been using Differin for about 4 months now and I’m enjoying a craaaaazy improvement on my skin. I’m also a follower of Dr. Dray and she got me into the Differin wagon because on top of MF, I’m also dealing with acne pretty much my whole life and the marks they left were no joke. When starting Differin, I was so scared of the purge and the irritation that I decided to use it AFTER my snail essence and then followed up with Paula’s Choice 2,5% BP. And the combo has cleared my skin and reducing the marks so amazingly without me ever going through irritation and purging. And I have the kind of skin that breaks out over literally everything and a victim of series of dermatologist’s treatments that ended up worsening my MF and ruining my skin barrier for years. I decided to keep my routine simple since using Differin+BP; Bioderma Sebium facewash, COSRX Snail Mucin, Differin (night), BP (night), Benton Aloe Propolis gel. I just haven’t found a sunscreen that won’t aggravate my skin, tried everything including Elta MD 46 but none worked. But after reading your MF article I decided to order the Biore UV Perfect Milk (blue bottle) and it’s currently on its way. I reeeeeally hope it works on my skin because as of now all I can do is just hiding from the sun as best as I can – and I live in Bali where the sun is at 120%. Welcome to the Differin club! The dryness of the first few weeks can be pretty unbearable. I remember I had a few “false starts” with it where I’d give up using it after just a few days, and then stashed the tube away, only to find it some weeks later and decide to try it again. Rinse, repeat. 😛 But eventually I stuck with it and am glad I did — it’s been about 5 months of regular use now. I can see how the spreadability would be an issue. I’ve managed to circumvent that because, as mentioned previously, I mix it with Skinoren gel. But, just like with any retinoid, I think it’s better to apply it to the face in a controlled manner, by dabbing it on parts where the skin is hardier and avoiding the more sensitive areas (in my case, the upper cheeks), as opposed to just spreading around evenly like you would a moisturiser. As you said, even though Differin works faster than tretinoin, you’re still in it for the long haul. This is likely the main reason why a lot of online reviews on it are so mixed — people just don’t stick with it long enough. That’s why I think it’s far better used in combination than as a monotherapy, at least until you achieve consistent clearance (though obviously those with more sensitive skin need to be wary about combining it with other actives). That said, the fact that it has the unrivalled anti-ageing benefits of a retinoid means it makes all the more sense to keep it in regular use as maintenance. Also, like with other retinoids, niacinamide is your friend. Using a retinoid with a niacinamide product has been proven to increase the retinoid’s efficacy and minimise its irritation. That’s why I always follow up with Cerave PM. 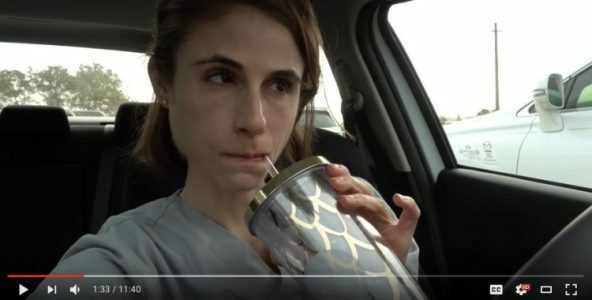 I had a little palpitation when I saw Dr. Andrea Dray’s vlog. Internet collision…. Anyway, I’m also 24 and have pretty successfully cleared my acne (both face and back) either because I gave up on cleansers and other proucts besides sunscreen and CeraVe cream, or because my mid twenties is a magical skin time and it decided to clear on its own. I still have oily skin, particularly around my eyes. (I keep some Thayer’s in my car to wipe my eyes so I can see.) I also have developed forehead lines (well I can see them) probably because of genetics and expressions. I’m considering differin because of the oiliness and lines. I’m wondering if it will cause underlying spots to surface, but it still sounds like an interesting experiment. 2-3 weeks isn’t very long and a few months even is doable. Great information as always! I want to make sure I’m not over doing it in my skincare. Especially after reading a couple articles. I have been using Drunk Elephant’s C-firma day serum and T.L.C. Framboos Glycolic night serum for over a year. I have added Differin in over time and use it alone every other night for about a month and a half. I don’t want to thin my skin to where it can be seen through or where it starts aging. I’m in my late 20’s, have had acne since age 14, have been to dermatologists, and was once prescribed Differin. I’m not sure if I should start tapering off on the T.L.C and start adding in more nights of Differin so I just use the T.L.C. a couple times a month or leave things as is. It seems that I have gone through my first purge phase with Differin. Any information is appreciated. I know I’m not supposed to use too many actives at one time but I’m getting a bit confused on if I can still use them in the same week? Say I want to use Differin 3 x a week – can I use my Stridex wipes on alternating days? Thanks a million to whoever can answer! Hi! Happy to follow along with you! I’ve been battling closed comedones on my chin for five years (with the occasional inflamed pimple after attempts at extraction) It seemed to start about a year after moving from a very humid climate to California right at the start of the drought. 🙁 I continued to treat my skin as very oily as I felt it had always been, but acne hadn’t been a problem since my late teens (32 now!). I suppose I became very dehydrated along the way and killed my barrier. Enter the CCs! I’d never dealt with these before, even in my teen years. I’ve tried what I feel to be just about “everything” BHA, AHA, azelaic acid (gave up on that kinda soon), BP, etc. I’m not into the idea of going to a dermatologist because past experiences were nothing but frustrating. I’ve recently become interested in K beauty and it’s emphasis on healing/hydrating the skin… After incorporating some key products into my routine (oil cleansing, gentle cleanser, MOISTURIZER for the first time ever), my tone is SO much brighter/more even, but the CCs remain. I was thrilled to find Differin 0.1 on the shelf in CVS and decided to give it a go. It’s been 3 weeks. I started out using it every 4th night as I’m very prone to perioral dermatitis and feeling a little irritated at the corners of my mouth. I’m getting some tiny pustules in various places along my chin as expected. What I didn’t expect was for a whole new group of CCs (several dozen!) to crop up on my cheeks. From what I’d read, the IB is likely to be inflammatory. What do you think about in increase in CCs in new places in the first several weeks of use? Would his indicate that I’m reacting badly? I’m feeling a bit desperate and discouraged! I’m looking forward to reading about your experience. Ive been using this for atleast two and a half months, its not bad. I figure it might take longer than 3-4 mnths to see any difference in my PIH, since I am african american. I have paired it with The Ordinary 10% Naicidimide and Zinc 1%. I have seen brightening of my over all complexion, and Ive been using sunscreen religiously. I have oily skin, but after starting my skin is quite combo now. It has dried the area around my mouth quite significantly, it flakes like hell even under my make up. I find my self having to tap water on it at work just to subside it. And I work in retail. And that area burns more when I apply my moisturiser and sunscreen. But Vaseline helps a bunch. I plan to follow through for the next three months, and see if i helps. Hey man, how’s the Differin Experiment been treating you? Curious to hear of any updates. Love your blog. I always had sensitive skin but it was on the drier side so it was easy to care for and I could use all sorts of wonderful products with rich lush ingredients. Not so anymore. Malasessezia has run crazy internally and on my poor skin. I am impressed with your conclusions because through trial and error I saw many of the things that had worked for me on your lists with solid information and research explained. Ingredient breakdowns are gifts. Thank you! I hope you do start writing about DIY because I am at that point too where I want to start tailoring some items for myself. As to the Differin discussion, I have used it in the past but not for acne. I don’t have acne. I have hyperpigmentation and loads of peeling and some aftermath dark markings. I am going to use Differin again because in the past it was fantastic for smoothing and fading scars. I had old chickenpox scars from childhood that are now gone. Keep up the humor and good work. Im on week 11 and still have clogged pores on the side of my face that I begun Differin with. 🙁 I have less breakouts on my face than usual and they arent big bumpy things but now they are little and there are more of them. Does anyone have experience with this? I have followed it religiously what the derm told me to do. Thanks! I think I just had a revelation here…. WHAT IF… we put differin on our atrophic scars only?!!! If our skin is completely clear from acne but we have a couple atrophic/pock mark scars, do you think it would help as sort-of a spot treatment for scars? I have clear skin from pimples, but in march I had a super stressful event happen in my life and i broke out horribly in cystic pimples (i never used to get cystic acne but Im 24 now and it seems like this is what will come at this age when and if your hormones/stress levels go crazy). I got pimples like crazy all over my cheeks and there was 3, very prominent cystic nodules, and I went to a derm she told me to get differin from the store. So I bought it, but before I used it… little ol crazy me starting researching the hell out of it and read a ton of reviews online and on acne.org and it completely TURNED ME OFF. So I never used it and I just cleared my pimples & cysts with some BP, sulfur mask, and salicylic acid. Now in July, my skin is completely clear from pimples and bumps and has been consistently clear, (I also started taking zinc supplements which I feel is really the main thing pulling the weight at keeping the pimples AWAY). Now all I’m left with is stubborn P.I.E. and 4 atrophic scars (2 boxcar, 2 possible rolling but its hard to tell because the rolling are still red P.I.E but they look indented with makeup :/ ). I have been so happy with how my skin has no acne but my skin still looks like sh*t bc of all the red marks and the 4 indents. The P.I.E is something I can deal with, its annoying AF but its fading.. but SLOWLY (your vaseline recommendation actually helps fade it SO MUCH- THANK YOU!). 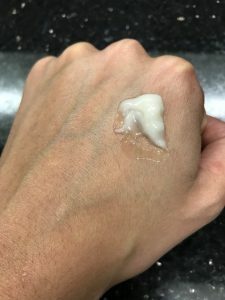 Ive been reading your blog for a couple months now (ever since Ive become so utterly obsessed with my skin since the break out a few months ago), and I came across your differin review… it kind of makes me want to take it out of the drawer and start using it. But my skin is CLEAR now and I believe it will stay that way, so I want none of that crazy purging nonsense everyone talks about with differin on acne.org and everywhere… What makes me want to try differin now is because you said it can help with the scars! So what if we just spot treat the scars!?!? hmmm I’m wondering if I should give it a try! Whats your take on that? What are your thoughts on alternating between Differin and Retin-A if you have both acne and anti-aging concerns? Do you think it’s better to stick with just one? Or go for both if your skin can tolerate it? You said Differin worked besides chin acne, so I was wondering because I am having the same problem… what do you normally do for chin acne? And is it the underground chin type acne? Thanks! My primary question is in regard to adapalene CREAM 0.1%, rather than the gel. Minimal background: I am 49 y/o and developed facial eczema after having a light erbium-YAG laser resurfacing. Before being lasered, my skin was never sensitive and I used Retin-A Micro without issues. I think the lasering broke down my skin barrier, and it has never recovered. I do not get it anywhere but my face. Now I get eczema flareups periodically, including a bad one after my dermatologist started me on the adapalene cream and spironolactone (for its anti-androgenic effects) for hormonal acne. 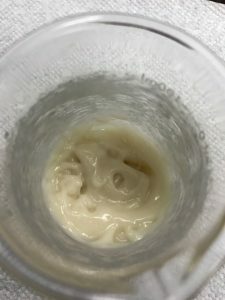 I’ve been trying to analyze all of my products to make sure nothing I’m using is feeding the malassezia, and I wasn’t sure on the cream, as it has a couple of ingredients ending in -ate. 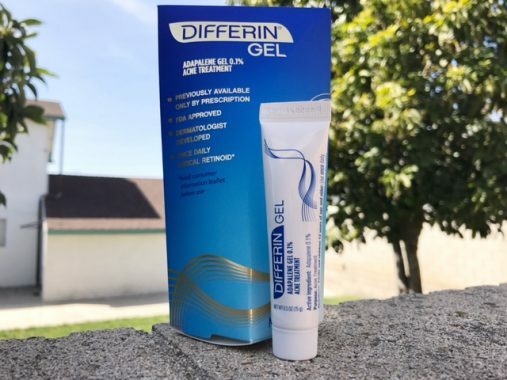 Here is the list: DIFFERIN® (adapalene) Cream, 0.1%, contains adapalene 0.1% in an aqueous cream emulsion consisting of carbomer 934P, cyclomethicone, edetate disodium, glycerin, methyl glucose sesquistearate, methylparaben, PEG-20 methyl glucose sesquistearate, phenoxyethanol, propylparaben, purified water, squalane, and trolamine. The acne is clearing up nicely, but I would really like to get control of the eczema! Can you give us an update regarding your usage and results for Differin? Have you also had any experience with Epiduo? I can’t decide which to buy between them. Did you experience WORSE acne with Differin? Reading your updates about full blown inflammatory lesions, I’m concerned to give Differin a try. I’ve never really had what I would consider inflammatory lesions, just deep-under-the-skin, large, red pimples. So I guess what I’m asking is, is it possible for my acne to get worse if I begin using Differin? I use dermalmd scar serum for my face, over a several month period I got rid of all acne scars. I use it regularly to get rid of/heal anything I pick on my face. I see overnight results.